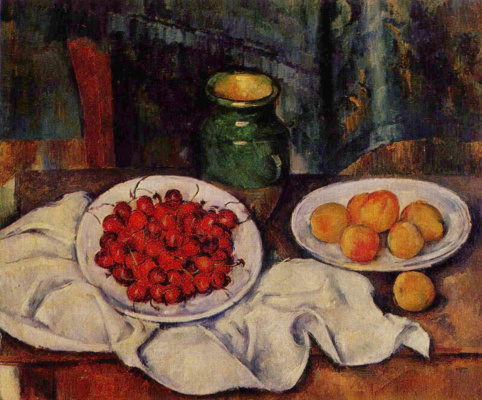 Cézanne didn't seek unique stories and did not travel in search of exotic or extreme natural conditions. 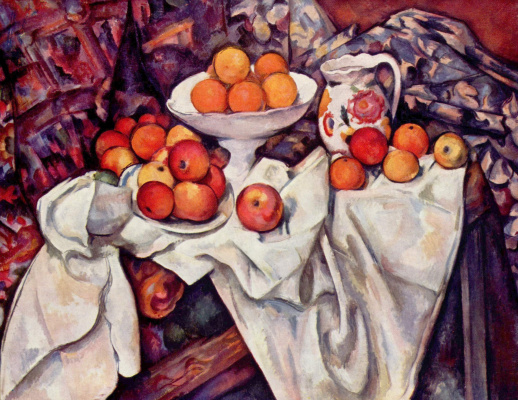 He spent his life painting the same favourite motifs: apples, portraits of his wife, male and female bathers and the family's elegant residence, known as the Jas de Bouffan. 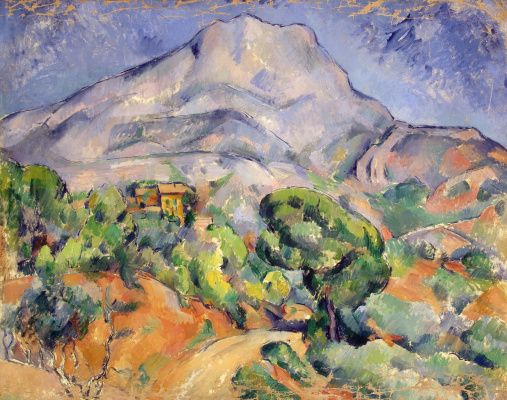 But it was the Mount Sainte-Victoire that became the most frequent and recognizable subject of Cézanne's paintings. 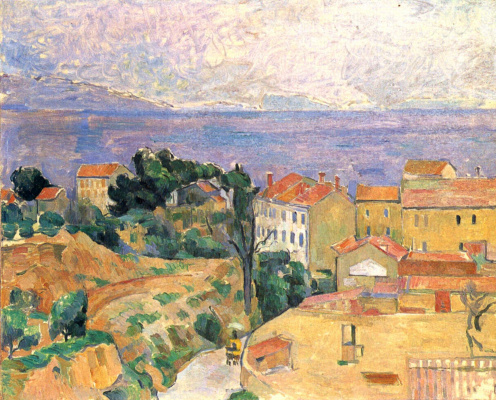 He painted it throughout his career more than 80 times in oil and watercolour. 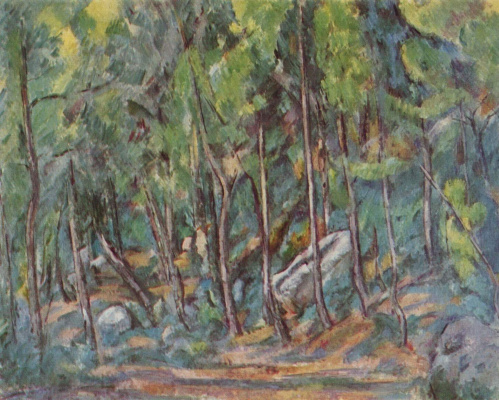 Two paintings from this mountain series are kept here, at the Pushkin Museum of Fine Arts. This work is one of the earliest paintings of the Mount Sainte-Victoire. 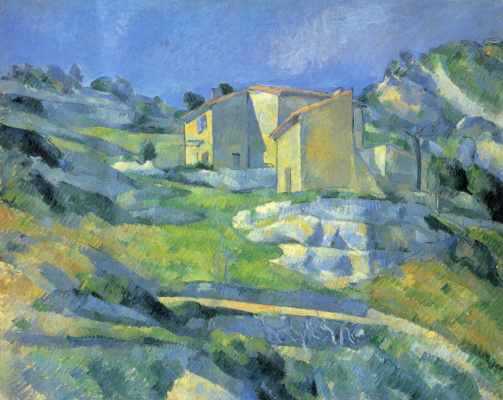 The other one (Landscape in Aix, Mont Sainte-Victoire) is one of the latest. 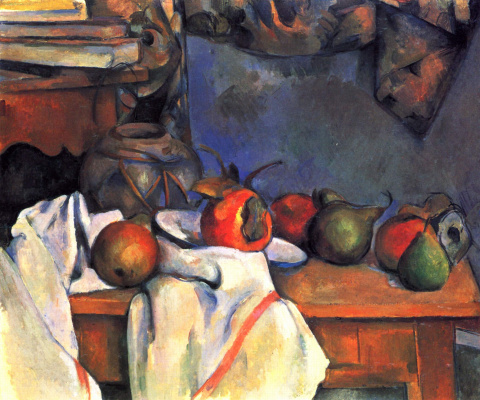 It was most likely painted a year before the artist's death. There is difference of 20 years between the pictures. 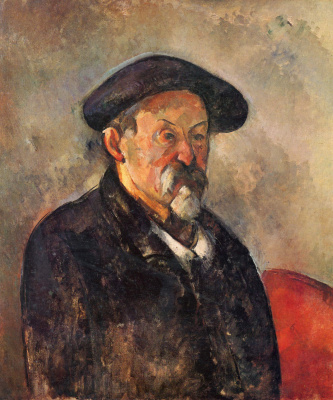 Cézanne lived at the same time as Impressionist artists, participated in the first and third Impressionist exhibitions, painted in the open air together with Camille Pissarro, and got rid of the dark colors under his influence. 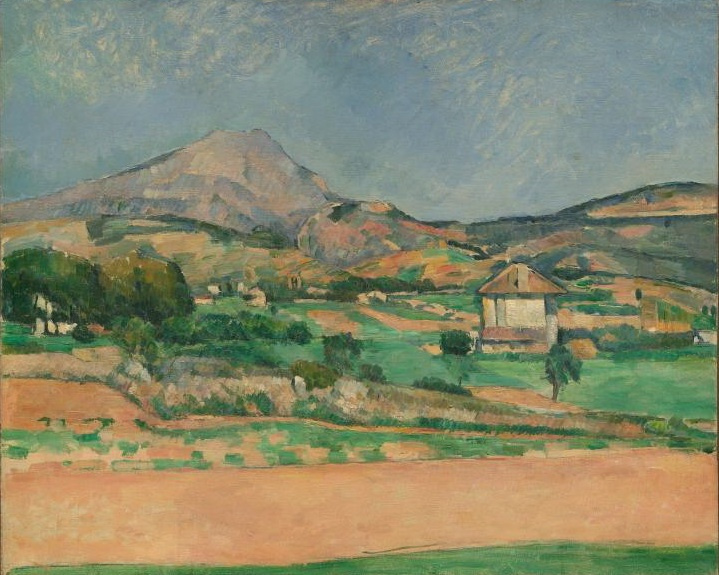 Landscape is a battlefield of the Impressionists' fight for light and impression, and it is in the landscape painting where Cézanne was completely different. 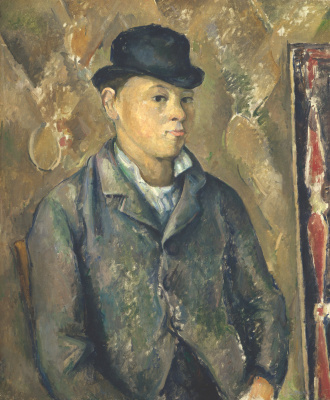 In the last 20 years of his life, maintaining mainly epistolary contact with the artists, writers and family, he happily spent most of his time in a small studio, looking for his promised land. 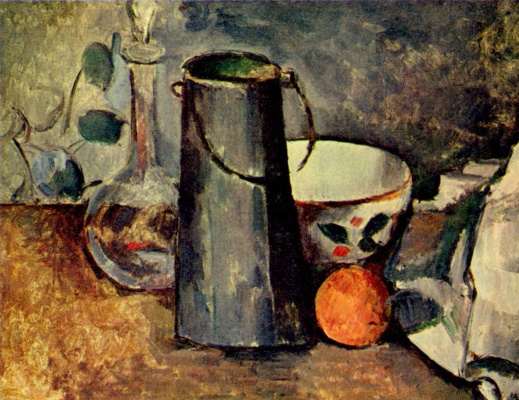 Cézanne thought that the paintings of the Impressionists, who tried to catch the momentary and temporary, lacked the monumentality and philosophical thoroughness that would allow them to someday be on the walls of the Louvre. No, he didn't dream of fame - he just wanted to accomplish several important tasks simultaneously: helping the viewer feel the beauty of the places so intimate and exciting for him personally, conveying his own emotions and experiences from seeing those places and at the same time omitting everything superfluous in the picture and uncovering the logic of nature through it, and finding the eternal - that which could be seen in the paintings of the old masters. During these years, he made a number of watercolor and pastel sketches, constantly putting off one painting and starting to work on another, working on each for a few years. The paintings of the mountain gradually became more laconic and almost abstract.